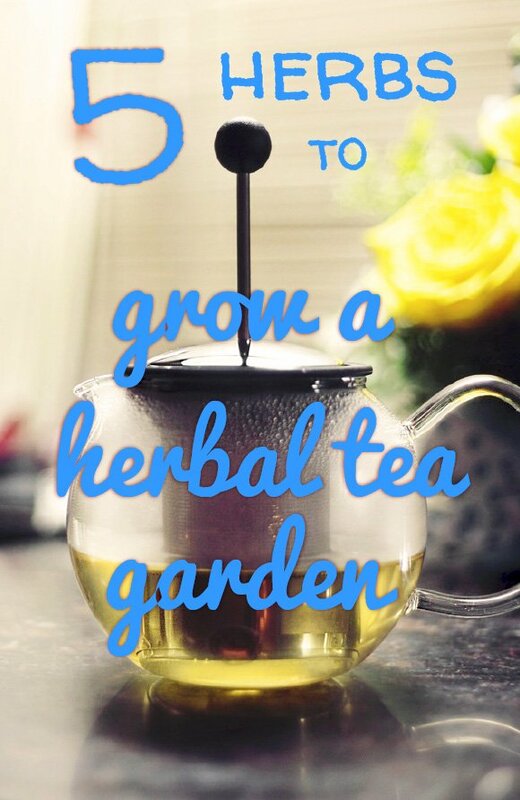 Herbal tea is one of the most rewarding things you can make in a garden. Growing herbs is easy and takes up little space. You can even grow your own herbal tea in a window box. 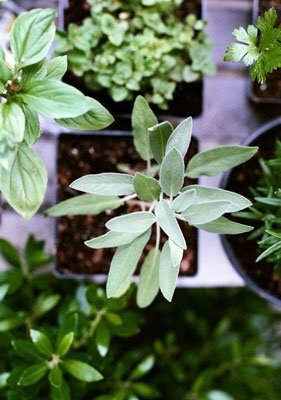 Here are some essential herbs to get you started. Grow them to make a single-ingredient herbal tea or use them as the basic ingredient in a unique blend that you won’t find in the shops. 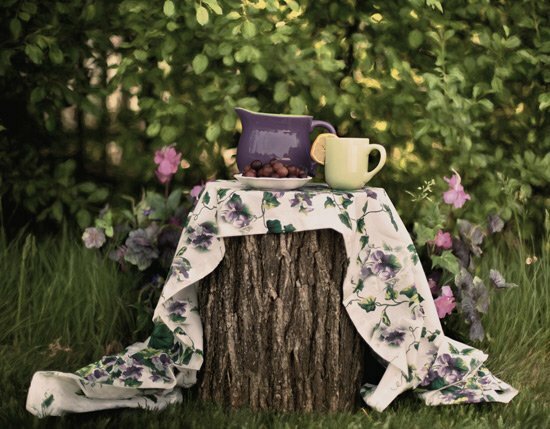 Herbal tea is one of the most rewarding things you can make in a garden. There are many varieties of mint with distinct flavours. 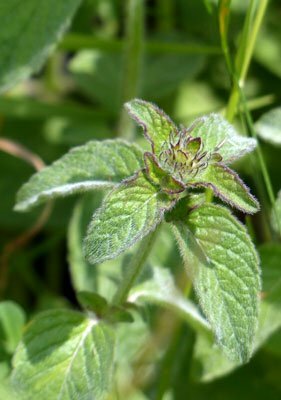 Spearmint and peppermint are always popular but you may prefer the fruity flavour of pineapple mint (M. suaveolens) or orange mint (M. aquatica ‘Citrata’). Most mints will take over any garden. The advice is to grow mint in a container sunk into the ground. The tender tips make a great tea but you can use the mature leaves too. Mint is often used to treat colic and digestive upset, but it’s also useful for colds, flus and stuffy noses. 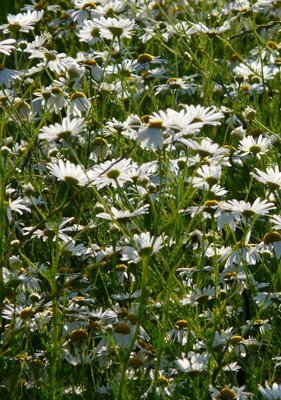 You can grow chamomile from seed in full sun in any well-drained soil. It’s a tall plant reaching 2–3 feet. It thrives on drought and neglect. Camomile self-seeds so remove the seedheads to prevent it spreading. Take a handful of the little white flowers to make the tea (if you use dried flowers you’ll only need about a tablespoon). Steep for 10 to 15 minutes, preferably covered to avoid evaporation of the volatile oils. Well known as a calming drink, for best effect take it just before bedtime. Sage is an evergreen perennial sub-shrub with woolly grey leaves. You can grow it from seed or root cuttings but it’s easy to get hold of small plants at the garden centre. Spikes of purplish-blue flowers appear in mid-summer though it’s the leaves that are the highlight. Sage can turn woody after 3–4 years so may need replacing. It prefers full sun and any type of soil. Pinch some leaves and stalks to make the tea. It can be bitter so sweeten if desired with sugar or honey. 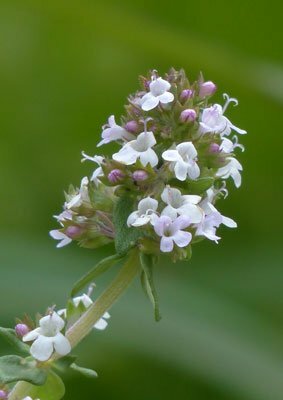 Or indeed another sweetening herb, stevia. Sage is often used to improve appetite and ease inflammation. 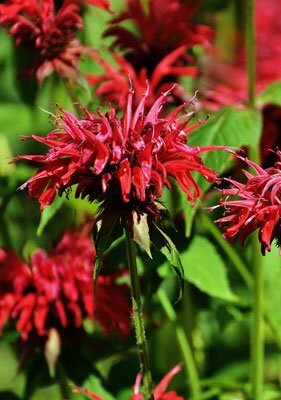 Bee balm (aka Bergamot) is a very decorative 3–4 foot-tall hardy perennial. The brightly coloured flowers in reds, purples and pinks attract bees and butterflies. 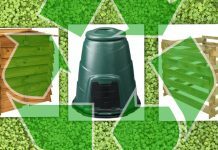 Take a look at these posts for other ways of attracting bees and butterflies. Bee balm grows in full sun or partial shade and prefers slightly dry conditions. All parts of the plant apart from the roots can be used for making tea. 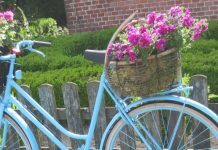 Fresh young leaves and flowers are preferred but you can dry the stems and flower heads for use all year. Deadhead often to promote lots of leaves for brewing the tea. Traditionally used to ease digestive problems. Thyme is a member of the mint family but it has an altogether different scent. You’ll recognise the smell of the volatile agent thymol as it’s a common ingredient in toothpaste thanks to its ability to suppress bacterial growth. Grow thyme in the garden or containers in poor soil and dry conditions. You can start new plants from cuttings or divide up old clumps. Pick the leaves while thyme is flowering. You can make fresh herbal tea or dry to use later. Thyme tea is excellent for stomach problems, especially indigestion. Mix it with honey to relieve colds and coughs. Herbal tea is easy to make. Just pour boiling water over crushed fresh herbs, cover with a lid and leave to steep for 10–15 minutes (or 20 minutes for dried herbs). Filter the clear tea into a cup or glass, sit back and enjoy. The longer you let it steep the stronger the flavour will be – there are no rules, let your taste buds decide. Don’t be afraid to mix and combine herbs, you can create a unique flavour all of your own. You can also let it cool and add a squirt of fruit juice to transform it into a herbal punch. It’s possible to store leftover tea in the fridge for a couple of days but if you’re growing the herbs yourself why not just brew up a fresh batch?